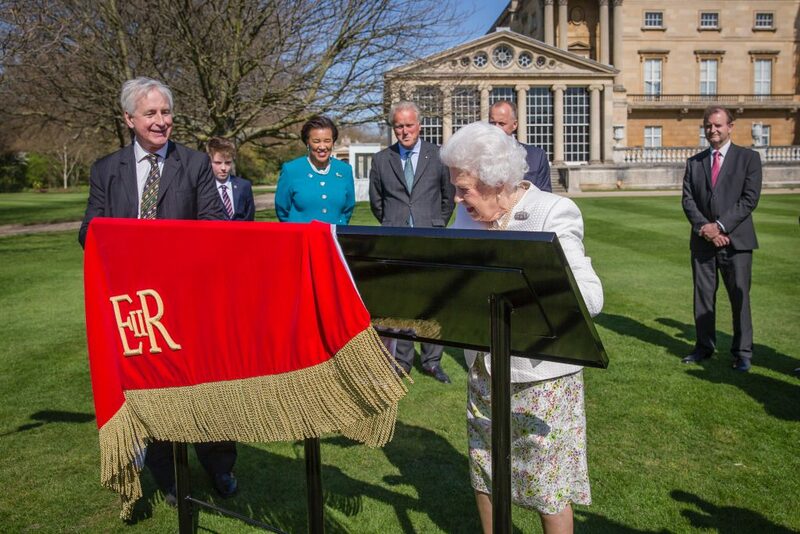 On 18 April 2018 Her Majesty The Queen, Head of the Commonwealth, launched a new Commonwealth Walkway by unveiling a panel in the Gardens of Buckingham Palace. England’s Commonwealth Walkway in London is a new link for the Jubilee Walkway to mark the 2018 Commonwealth Heads of Government Meeting. It runs along Pall Mall and the Strand linking Buckingham Palace with the headquarters of the Commonwealth Secretariat in Marlborough House and the High Commissions of 9 Commonwealth countries. (Cyprus, Papua New Guinea, New Zealand, Canada, Uganda, Nigeria, South Africa, India and Australia) and HM Government of Gibraltar. The Secretary General of the Commonwealth, Baroness Scotland and representatives from the High Commissions and Gibraltar Government attended the special ceremony. The new panel artwork promotes The Commonwealth as a family of nations; shares a timeline of key events; explains the role of Marlborough House, the Commonwealth Games, Commonwealth Secretariat, Heads of Government Meetings, Commonwealth Charter, Commonwealth Day and the importance of young people. The panel, was later moved to outside Marlborough House, home of the Commonwealth Secretariat, in Westminster after CHOGM. In time, it is hoped that bronze Commonwealth Walkway markers will be installed outside the 9 High Commissions in London and HM Government of Gibraltar to mark the new Commonwealth Walkway route win London. Noah Walker (aged 12) showed Her Majesty a sample marker, specifically the one that it is planned for outside Australia House. This particular marker included ‘ngalang bidi’ meaning ‘our path’ in the Wadjuk/Noongar aboriginal translation of ‘Walkway’ being used in Western Australia. Her Excellency Kerry Sanderson, Governor of Western Australia is to unveil the first marker of the Perth Commonwealth Walkway using the same marker style outside Government House on 19 April 2018. In total, 1,500 markers are being installed across the Commonwealth to mark the places of most significance that are being connected by the 1,000 km of new walkways.